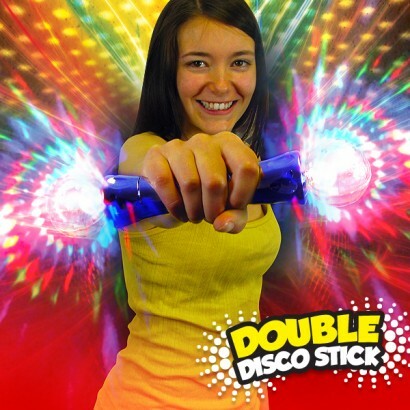 Bright and incredibly funky, the handheld LED disco stick casts bright projections of colourful light onto surfaces from the groovy clear disco balls on either end. Watch as the light performs a funky disco routine in three mega effects! 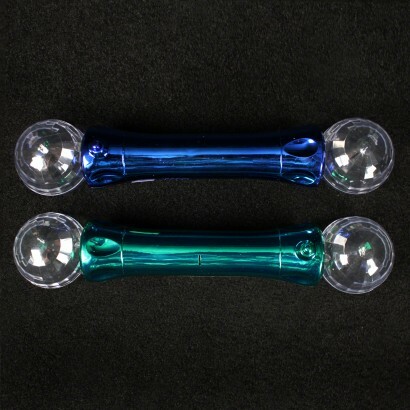 Handle of stick comes in either metallic blue or green.